I’ve been steady carving the past month, anticipating spring. 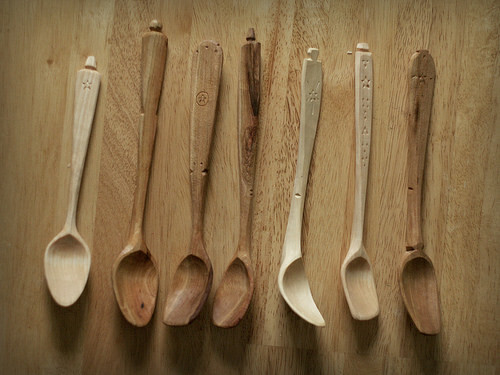 More spoons. Moving closer to production. 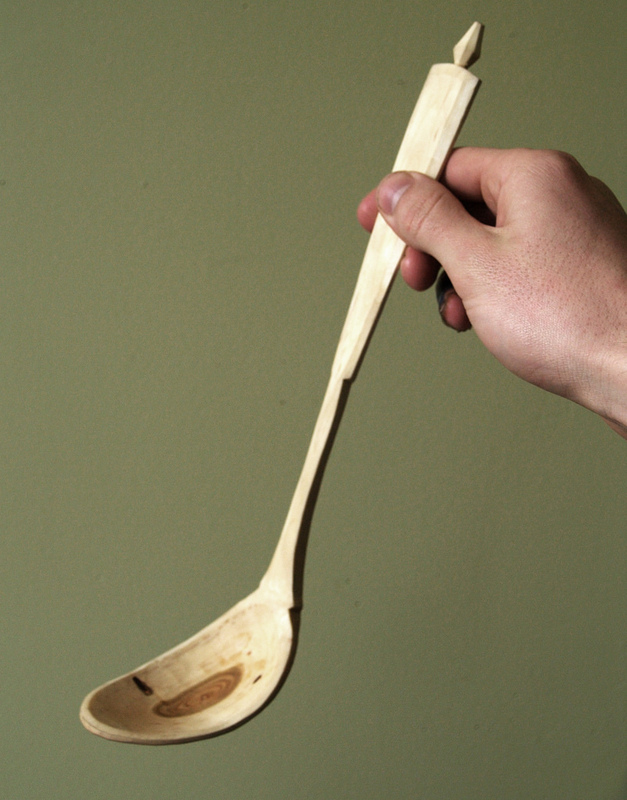 I’m Getting materials together to build a spoon mule to maximize my spoon production ergonomics. Planning out a pole lathe to start learning how to turn bowls and other turned pieces. A micro forge for making small turning and carving hook knives. And harvesting wood from the forests before the thaw comes in full on. Here’s some of my recent work—some of which will be added to my store over the next week. 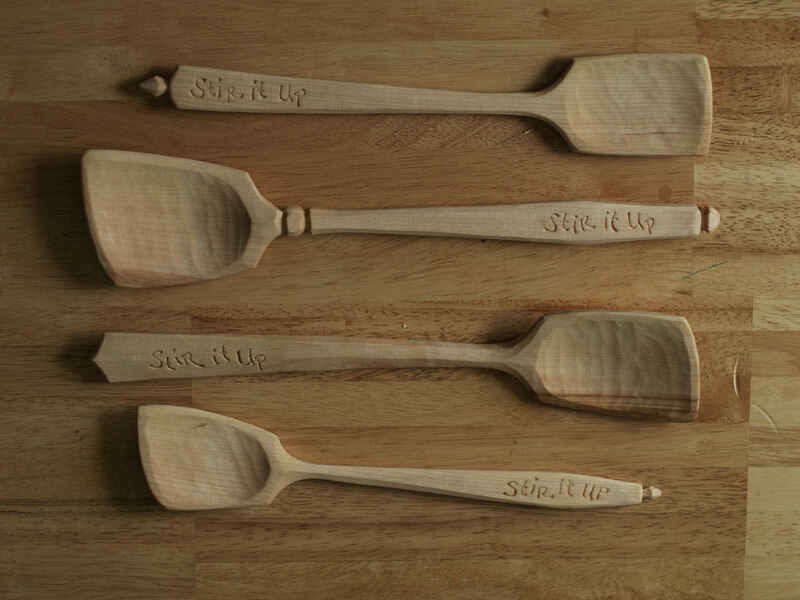 Condiment Spoons; I love carving these and using odd, small bits of wood is exciting as well. Cherry ladle from a small branch crook. 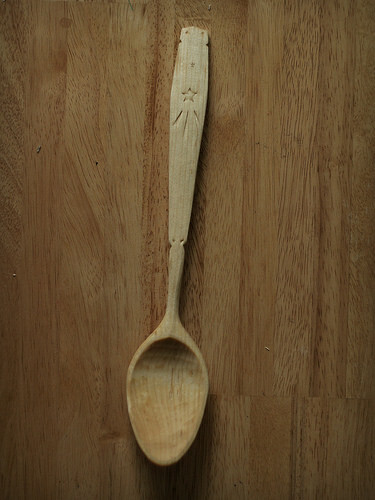 Black birch cooking spoon/spatula deals. I’ll be doing more of these with the Bob Marley inspired lyrics, which seemed all too appropriate a reminder for the intended use and perhaps just life in general. I remember your first spoons! Oh how your talents grow and crease to amaze me Mark! These are gorgeous.